This chapter reviews the common themes that run through the volume. The authors review the relationship between informal learning and adult and higher education and how the research and writing on informal learning contributes to adult and higher education. They pay attention to how informal learning plays a role in independent learning projects, self-directed leaning, and transformative learning. The common themes that run through this chapter include learning experiences, contexts of learning, processes and strategies, outcomes of informal learning, and to a lesser extent, critical perspectives and cultural issues. The authors describe how the chapters contribute to each of these themes. They also speculate on the future directions of research, theory development, and practical applications related to informal learning. In this final chapter, we review the common themes and threads that run through the volume; we look back over the contributions of the authors, our goals in collecting these contributions in one volume, and the extent to which we met our goals. Informal learning does not sit at the center of theory in adult and higher education, but it has the potential to have a larger place in the field. Both self-directed learning (a popular adult education model from the 1970s and the 1980s), and transformative learning theory (a primary adult education theory from the 1990s to the present) include informal learning, even though it is not necessarily described as informal learning. Going back even earlier, Tough’s work (1971, 1978) on independent learning projects describes informal learning, and the first book on adult education (Lindemann, 1926) implicitly addresses informal learning. When we say that informal learning does not sit at the center of theory in adult education, we mean that it is not explicit. 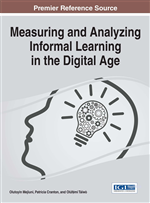 We hope that this volume will increase adult educators’ awareness of informal learning in theory, research, and practice. The common themes that run through the chapters in this volume include: learning experiences, contexts of learning, processes and strategies, outcomes of informal learning and, to a lesser extent, critical perspectives and cultural issues.